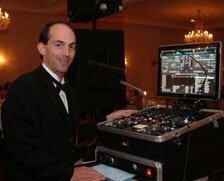 Owner and Executive DJ/MC Chris Pyle is a Graduate of Spring Grove High School and holds a degree in Broadcasting. While in high school Chris worked as a DJ at a local roller skating rink (Roller Way) and an under 21 dance club that he helped to establish. Chris has also worked at several local area radio stations as an On-Air Personality and as Music Director. As Music Director he worked closely with major Record Company Representatives that promote their artists and new music. Chris began his career in Radio at age 18 working at WGTY in Gettysburg, WHVR AM and WYCR FM (98YCR) in Hanover, working part-time while attending the Broadcasting Institute of Maryland in Baltimore. Upon graduation, he was granted an FCC license. 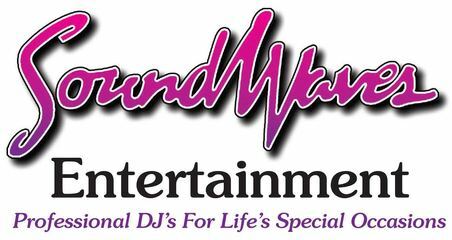 Chris also worked Full Time at Top 40 radio stations in Chambersburg, Pa. and Virginia and North Carolina before returning home to York, Pa. in 1994 to start a family and start DJ’ing Full-Time and re-establish Soundwaves Entertainment.